You have InLoox 9 for Outlook installed on your computer, but need help with the implementation? Do not worry – our brand new tutorial series will help you getting started. Our tutorials demonstrate step-by-step how InLoox 9 for Outlook works. The first tutorial is about how to create a new project. First, let’s start with a quick reminder of what a project actually is. A project can be seen as an action that you do over a specific period of time to achieve a certain outcome. Creating a new project with InLoox 9 for Outlook is easy. Our tutorial will explain the process and give you an overview over the most important features you need to know to start a new project. 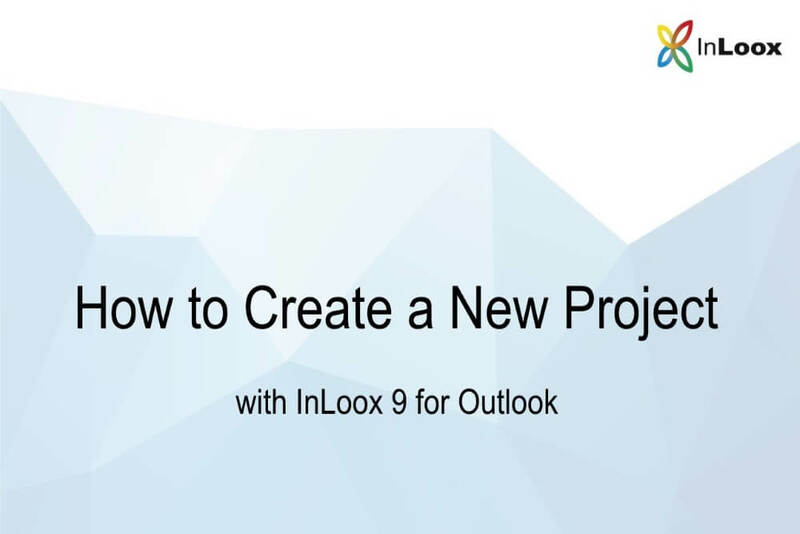 Video Tutorial: How to Create a New Project with InLoox 9 for Outlook - InLoox • Copyright 1999-2019 © InLoox, Inc. All rights reserved.